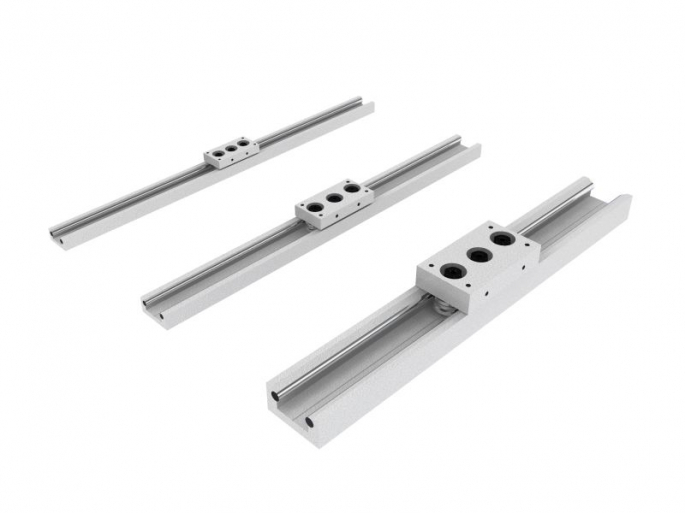 CI series linear unit born by the need of a linear unit with wheels reduced dimensions that can be used where there are problems of space or when the load is little and light. The body is always in anodised aluminium where two steel bars hardened, ground and chromium-plated are mounted and upset. A little line shows the middle of the profile and the point where to do the drilling for the mounting at the structure. 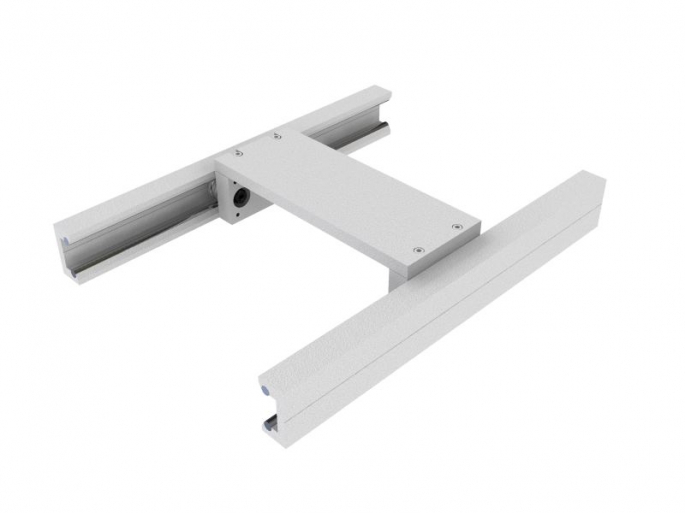 The linear unit, that are supplying at the length required by the customer, have the maximum length of 6 metre. The trolleys, made in anodised aluminium, are complete of holes for the mounting of the equipment to move and they are with 3 wheels, two concentric at the two extremities and one eccentric central to eliminate the clearance. All the wheels of this linear unit are in 2RS version. On request may be supplied the system with wheels and bars in stainless steel.